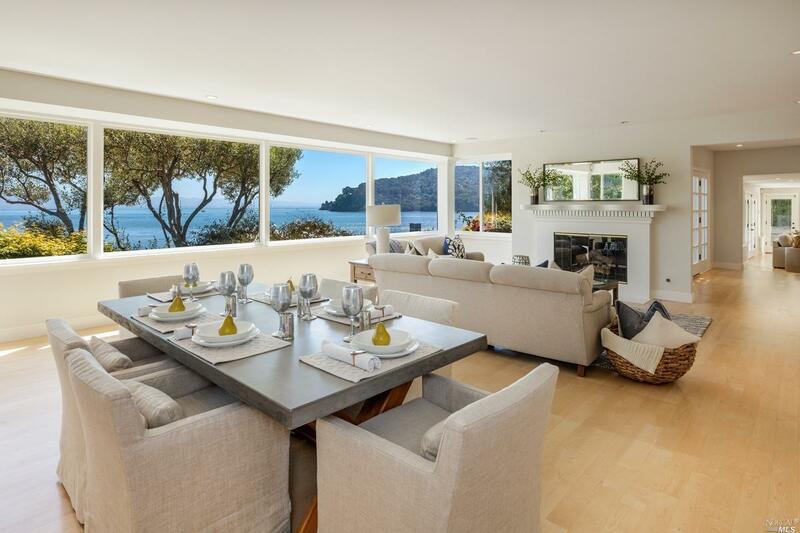 Sublime home with stunning views of the bay, Raccoon Strait, Keil Cove, Angel Island and city lights. The perfect blend of indoor outdoor living. Light filled with warm inviting spaces, there are water views from nearly every room. Lush, private, verandas for entertaining or just relaxing and absorbing all the sights and sounds of bay. Short distance town, rare 3 car garage with additional off street parking. Coveted Mar East address!